Preheat oven to 200 degrees Celsius. Mix all ingredients together in a bowl. When it is a sticky dough, turn it out onto a floured surface. Knead the dough, adding flour to the surface as needed. When you have a smooth, elastic dough, shape it into a rough rectangle about 1 1/2 inches thick. 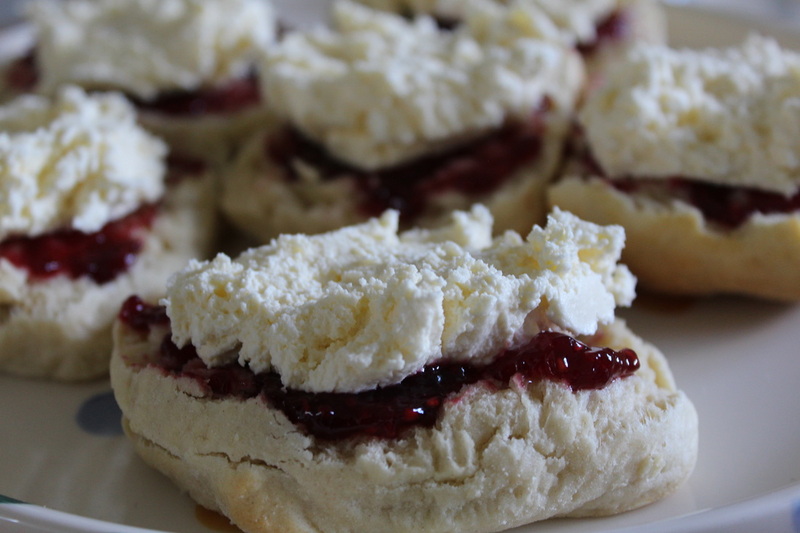 Cut scones out of the dough using a floured knife/glass/scone cutter. Place scones in the oven for 10 minutes. Scones are cooked when they begin to split across the middle. You should be able to gently pull a scone apart without too much "clinging". Serve with local jam and clotted cream.